The weather has changed slightly with a good north westerly breeze helping me get all my clothes dry but it also had me putting on a cardigan! I was adamant, after the beautiful weather we had, that I wouldn't put back on my winter clothes. But still, it is a little chilly so I needed something warm and fuzzy to fill me. This tray bake pie was to be it and good thing too, as it felt warm and summery as soon as we started eating it. It's also a very homely pie, perfect for sharing with pots of strong tea and really suited an evening after dinner reminiscing the Irish Summer as we looked out at the return of the rain!! 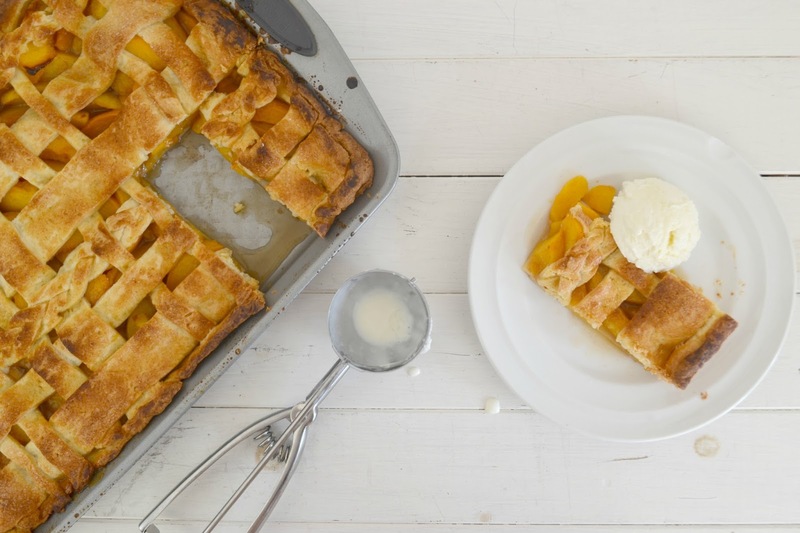 A full fat, Irish Dairy butter short crust pastry keeps the peaches in place, holding in all that lovely, sticky, sweet mess. 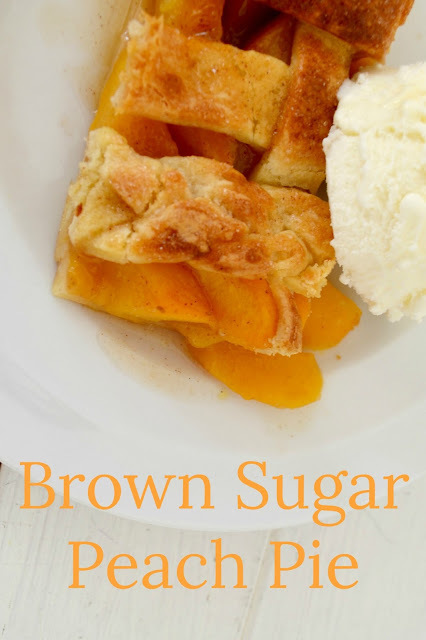 The peaches offer that perfect blend of texture to help balance out the sweet flavours of the brown sugar and bourbon. The cinnamon helps make the pie rustic, satisfying and homespun. Perfect for this time of year. Put the flour, butter and icing sugar into a food processor and blitz until looks like breadcrumbs. Crack in the egg and bring together until a soft ball forms. Split into two balls, one slightly larger than the other. Add all the ingredients for “The Peaches” into a bowl and toss about until coated. Set to one side, to rest. Grease with the extra butter, a rectangular baking tray, ideally 9x13 and about 2 inch deep. When the balls come back out of the fridge, roll them out, the size of your tray pan. 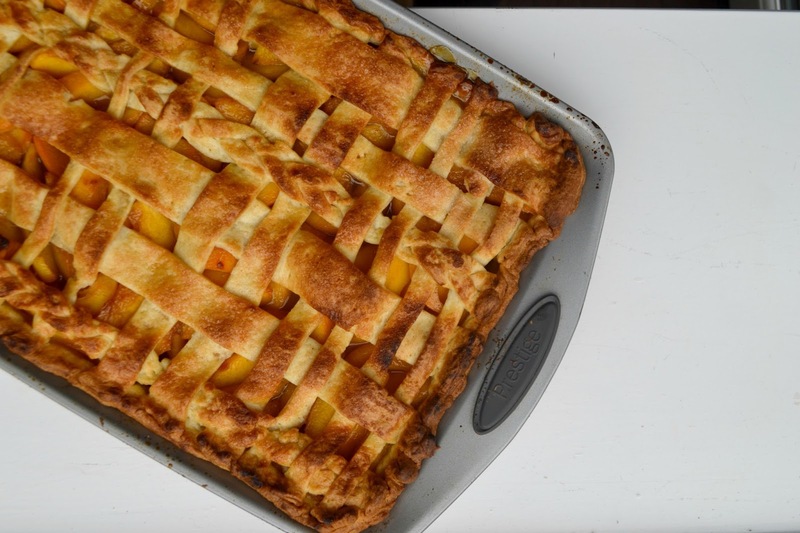 Place on rectangle of pastry into the tray and let any excess hang over the edges. 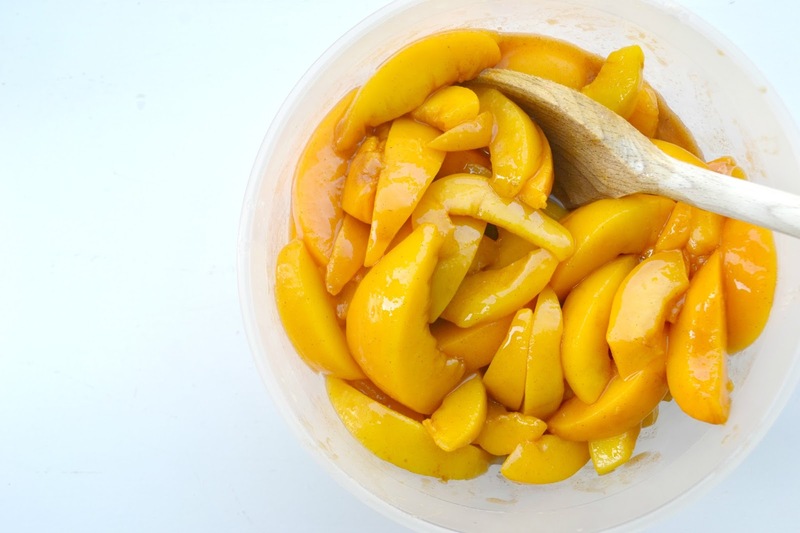 Using a slotted spoon fill the pan with the peaches, being careful not to add in any juice that may have seeped out during resting. Spread out evenly. 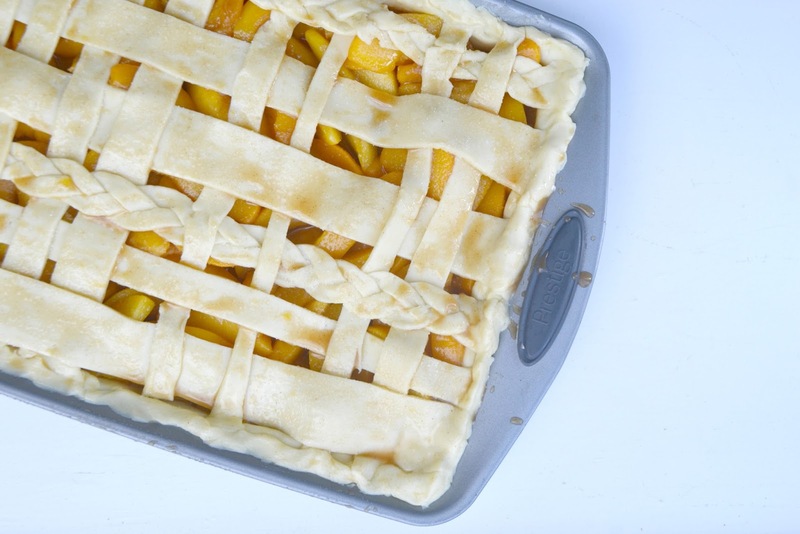 Cutting strips of pastry with the other rectangle layer them over the pan, pulling alternate strips back and layering the opposite direction to give a lattice effect. 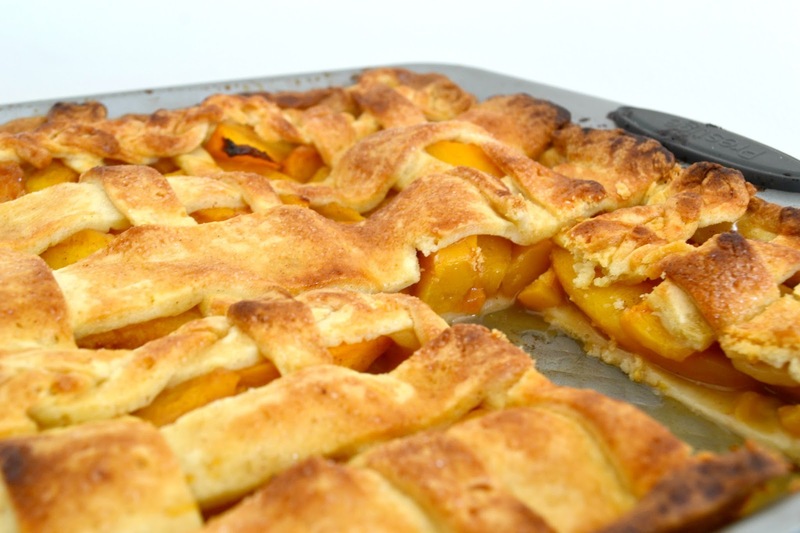 Once the top has been covered over, turn in the edges of pastry that were hanging over and pinch to close. Brush the top of the pastry with the peach juices left over in the bowl, toss some demerara over the top. Bake the whole thing in your pre heated for 25-30 minutes, until the top is golden and the juices are bubbling inside. 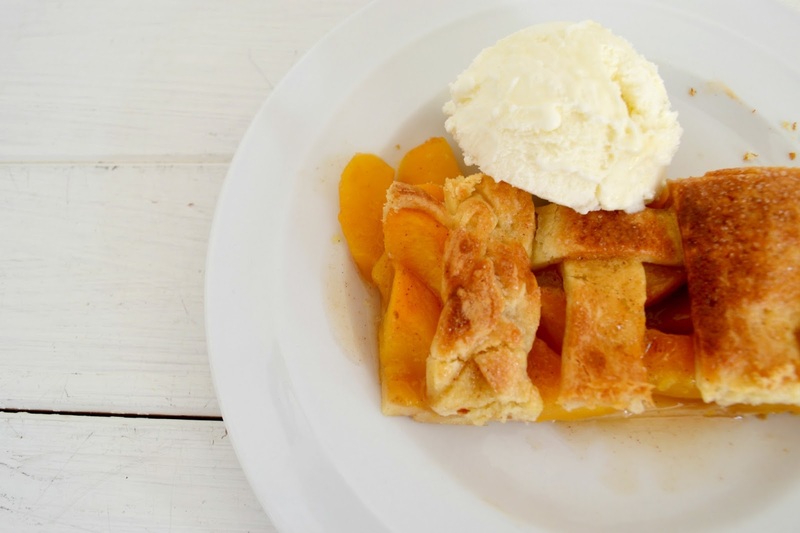 Leave to cool for about 15 minutes and serve warm with a big dollop of ice cream. Sure what more could you want on these not so summer days?